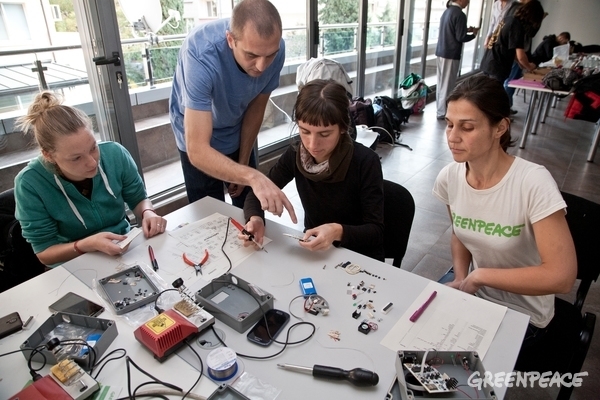 How to Make Air Quality Testing Affordable in Bulgaria #CitizenScience #Arduino @Greenpeace #Air #DIY « Adafruit Industries – Makers, hackers, artists, designers and engineers! Stara Zagora is the most significant source of air pollution in the country. According to the World Health organization, the index for air pollution of Stara Zagora is ranked as high (70.00). The major causes are the industry and more precisely the Maritsa Iztok Power plant complex, and the domestic heating with solid fuels, the heavy traffic and adverse weather conditions. Though vigorous measures are taken, the levels of air pollution are still high. Luckily Greenpeace Bulgaria recently launched a project, Prahobroyachi, which places the power of DIY air quality monitors into the hands of citizen scientists. 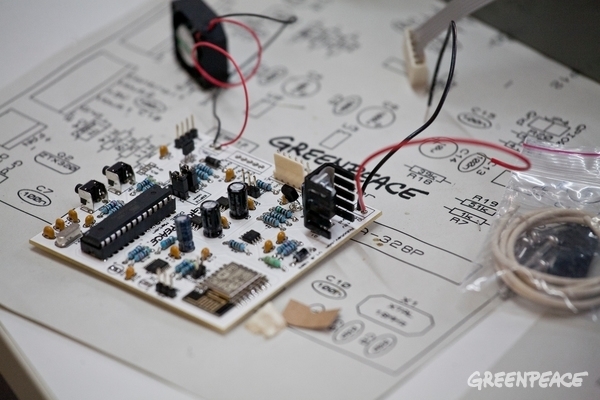 According to Greenpeace, the project uses Arduino through a partnership with Robotev to create open source Dustcounters. The boards use an ATmega 328p and make it easy to attach a dust sensor and fan. They also have a WiFi module so data can be relayed and posted to Greenpeace’s site each day. So far 25 volunteers have been given kits and supposedly most of the units are now deployed. The project will continue through February of next year when results will be compared. As with most citizen scientist projects, encouraging people to create their own environmental sensing devices promotes awareness of the problem. Hopefully between the hackathons and work of Greenpeace, this city will create innovative solutions for their air pollution. Although this project seems to be well underway, Greenpeace has already stated that they look forward to designing an even better device for 2017. I’m curious if they are going to add specific sensors for different gases. 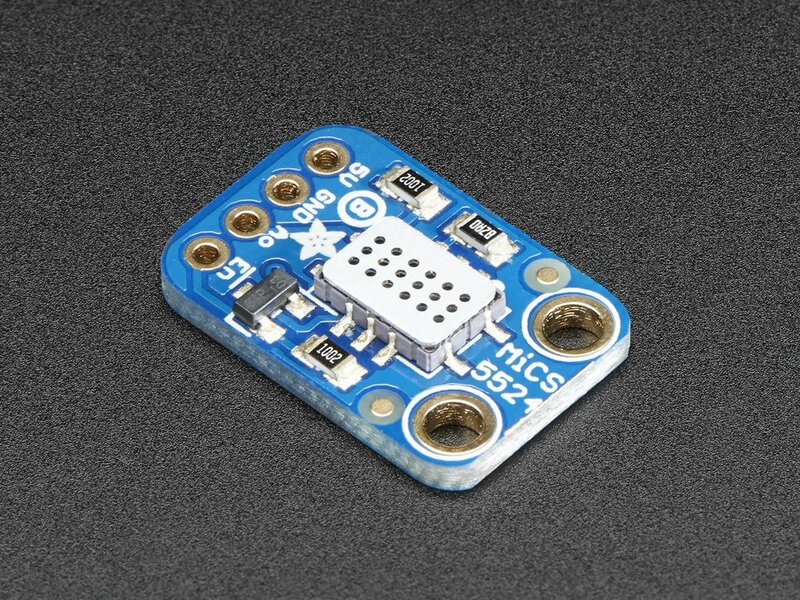 If you are curious about air quality, you should check out our learning guide on our Gas Sensor Breakout. The sensor can tell you whether any of these gases are present: CO, Ammonia, Ethanol, H2 , and Methane/Propane/Iso-Butane. Although the sensor can’t reveal which specific gas is present, it is a great find for someone with an interest in citizen science or someone that works in a garage. It’s always a good idea to question your air quality. mining company that is ~ 50km in away in distance and it is impossible to polite air ! All pollution is coming from this military base Zmeevo where old rockets is been destroyed and this process emit lot of HCL in the air. Dave, thanks for your comment and I’m glad your friend has been helping to research the issue. I don’t think the hackathon’s quote was suggesting power plants are the only possible issues causing the problem. In fact, it may have just been a "safe" way to start a discussion. I think almost every city has its own secrets for pollution that are often political. Remember that citizen science is often a way to get ordinary people to become aware of a problem, and much like detectives, they are empowered to learn the truth. Even if people cannot mitigate the source of the problem, they are given their own way to measure the problem and they can make decisions affecting their own family’s health. That’s one of the reasons I’m really excited about open source hardware. 🙂 I lived in a city that had a huge asbestos problem that was rarely discussed. A group of us formed an environmental committee that led to investigations and proper mitigation of these "snow mountains". Years later there are now funded research projects connecting the health issues. It’s never a perfect solution, but at least there is now honesty on the subject. Thank you for your comment. It is true that "Zmeevo" military base was a source of pollution in the region several years ago. Locals still associate it with the bad quality of the air in Stara Zagora but in recent years it has significantly reduced its operations and is not a major source of pollution. On the other hand, Stara Zagora is near the coal center in Bulgaria – industrial complex "Martisa East". The complex consists of the biggest open pit mines in Bulgaria "Mini Martisa Iztok" (Mines Maritsa East), as well as 4 of the largest coal power plants in the country. In addition, especially during winter season many people in the region use coal and wood as a source for domestic heating. All these combined with transportation additionally exacerbate the situation. I agree with Leslie that this is a way to empower local communities to raise awareness and take action against all sources of pollution.